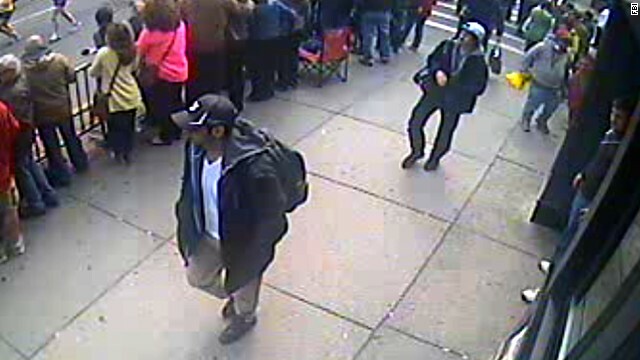 Washington (CNN) - U.S. intelligence and law enforcement agencies are again reviewing all intelligence on the two suspects in the Boston Marathon bombing for clues about their motivations and connections to possible terrorist groups, U.S. officials told CNN. In the hours since the identities of Dzhokhar Tsarnaev and Tamerian Tsarnaev were confirmed by the FBI, “there is a very methodical and in-depth analysis under way on these suspects and the connections they may have had to any overseas group,” a senior U.S. official said. Where are their family members? They've been in this country for almost a decade and they've gone undetected. All of their associates need to be interviewed thoroughly to make sure they're not part of this horrific plot. in the world, and they really make me proud. These guys and gals put their lives on the line for all of us. Too bad I don't feel the same way about Congress. What will the conservatives have to say about immigration ffrom Chenya ? If these guys were from El Salvador, could you imagine what McCain & Co. would be saying about the "dang fence"? This is what I think also. In spite of the three lives that were lost and those that were injured and maimed, the reality is that a professional would've inflicted greater carnage just based on the opportunity presented by the size of the crowd. These guys struck me as amateurs from the beginning. I do not believe they're associated with any terrorists organization except maybe one populated by rank amateurs. The fact that one bomb did not go off cemented my thoughts on the subject. Well, it looks like not everybody we allow into this country appreciates it. Nothing about this whole episode makes much sense. I wonder if they were unhappy and got radicalized on line? Their uncle in Maryland sure has some damning statements for them so the entire family is not to blame it seems. We just have too many crazy people in this country, and across the world. The government cannot protect us all from them every second of every day. Arm yourself. The people with cell phones are putting them in good use, an takes great pictures an whatever peoples saying about these cell phones always talking an using you tube alots well the people put their cell phones n good use. Like most of us, I want all the information right now (and much of it would be inaccurate at this point), but I'll have to be patient and wait for the intelligence teams to sort it all out. Patience is so hard right now, but I'm glad the police, FBI et al are carefully reviewing what they have before issuing official statements. And, my condolences go out to the family and friends of Officer Collier, the MIT officer who was killed last night. I haven't heard anything yet about the condition of the transit officer who was injured, but I hope we can all keep him in our thoughts. This is something I am against and its some of these extremist groups that prey on our young innocents souls at college.Kids trying hard to fit in, get along sometimes forget who their real friends are and become entangled with one of these groups whether it be religious or not and remember nothing at first is always as it seems with these groups selling their propaganda to kids who really don't know better,the gullible types ..Some are taken in with rediculous promises of wealth,granduer and get hooked into something they finally realize they can't get out of because of certain circumstances beyond their control..Colleges should become more aware of this as they are with college fraternities that grow with every college signee knowing there's more out there than meets the eye!! This is something I am against and its some of these extremist groups that prey on our young innocents souls at college. Obama, Democrats and leftists are the primary ones doing this. While these groups and people actively work to destroy the future of these young people, they con them into voting for them. brainwashing in action. So much fear, hatred, paranoia in the world.......so sad, such a waste of time, energy, lives. I truly belief that there is also so much kindness, love, service, and self-sacrifice in the world today but those things are rarely newsworthy. Be kind to one another. It may not always be easy. I'm not sure it was ever intended to be easy. But try to do it anyhow. mcveigh,s family should be deported too.